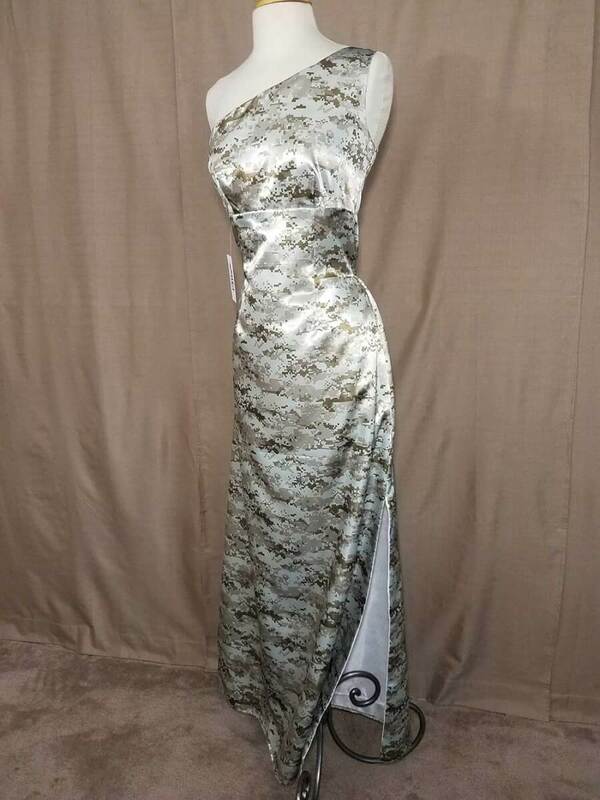 Our in-stock size 7 SHAYLA dress features a one shoulder design with a full length, slim skirt, side slit, and zip-up side in satin Desert Digital camo. 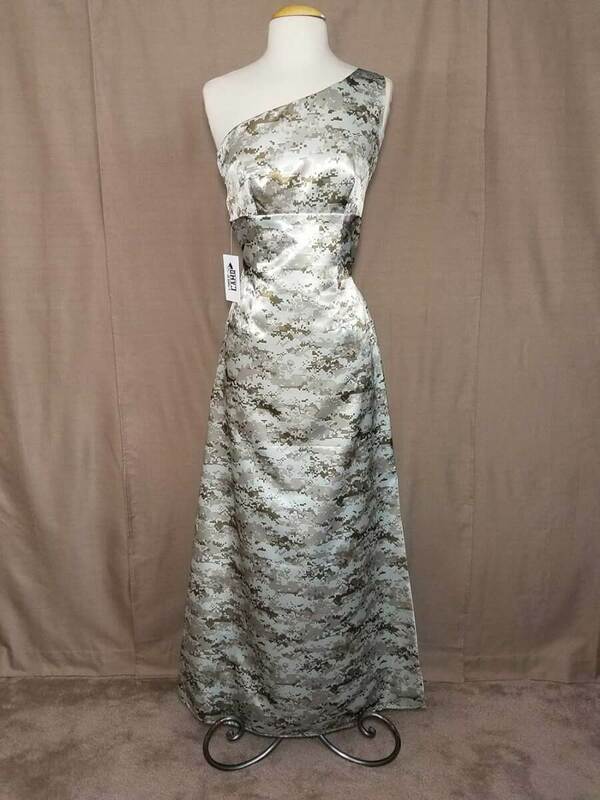 This dress is perfect for any formal event, from prom, homecoming, bridesmaid, mother-of-the-bride, to a military ball or party! The side slit and one shoulder offer the perfect amount of sexiness to this beautiful dress. This dress comes fully lined with and 2-6 bones for support. 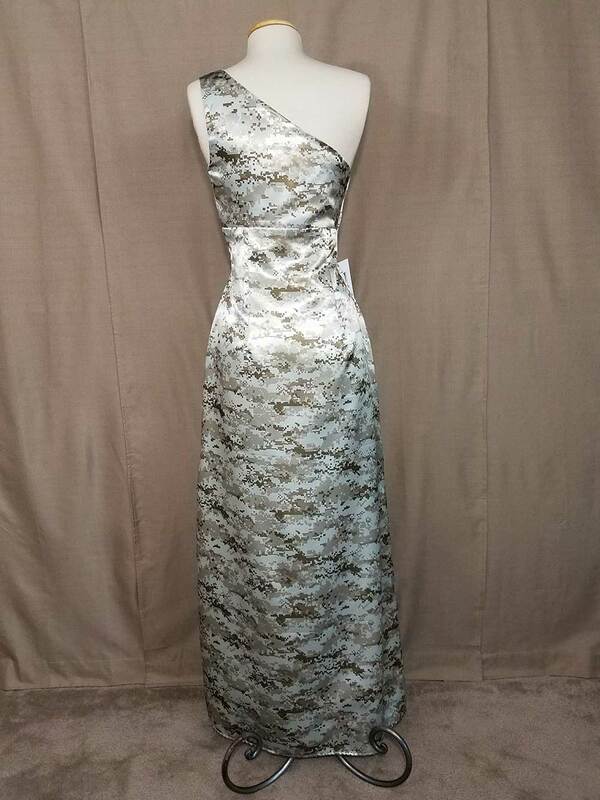 This in-stock dress is on sale because it was worn for 1 hour in a fashion show, but is still in perfect condition. There is no damage to the outside of the dress, but it may have some minor dirt along the bottom inside hemline from the runway show.